As its name suggests, catnip is a popular herb among felines. Its scent attracts them, and simply smelling it makes them feel euphoric and frisky. But did you know that catnip is also an effective herbal remedy for humans? Catnip has been used for centuries to treat anxiety and related problems. It works particularly well against tension headaches, and it has a sedative effect that promotes sleep. Catnip has also been used to treat stomach upsets, which is sometimes associated with anxiety. Catnip is a plant in the mint family. In fact, in some countries it is known as catmint. The plant is native to Europe, Asia and Africa, but can also be found in North America. Catnip is green to grayish-green in color, and has a hairy appearance. Its flowers are small, may be white, blue, pink or lavender, and grow in clusters. In addition to treatment of anxiety, catnip has also been successfully used topically for a number of purposes. It can help reduce swelling due to arthritis, hemorrhoids and injuries. Studies have also found that catnip may have antibacterial and antiviral properties, but further research is needed to determine its effectiveness in such applications. One of the most important things to remember about catnip is that humans should not consume catnip that is sold for use in cats. It is not subject to the strict regulations that herbs sold for human consumption are, and it could be contaminated with other plant products. Catnip for humans may be found at most health food stores, or you can grow your own. Pregnant women should not take catnip, because it contains chemicals that can affect uterine muscle tone. Catnip is also not recommended for breastfeeding mothers or children. Those who are taking prescription or over-the-counter drugs that have sedative effects could experience sedation or mental impairment if these drugs are used with catnip. The same applies to sedating herbs. Side effects of catnip are rare, especially when it is taken orally. If large doses are taken, fatigue and mild headaches may occur. Some amount of sedation is to be expected, but it could be more pronounced in some individuals, causing confusion or impairment. Catnip is available in capsule or liquid form. See the product's labeling for dosage. Catnip also makes a delicious tea. 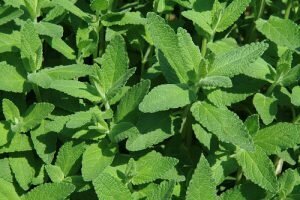 Simply soak 1 to 2 teaspoons of dried catnip leaves in a cup of boiled water for ten minutes. The water should be removed from heat before adding the catnip, because boiling it can destroy active ingredients. Catnip tea may be taken up to three times per day. Anxiety sufferers can benefit tremendously from the calming effects of catnip. Whether taken in an herbal supplement or made into a tea, catnip works well without the side effects associated with prescription drugs. PureCalm is a natural, safe and effective liquid herbal formula that works quickly to eliminate symptoms of tension, anxiety, stress, panic attacks and irritability. PureCalm helps maintain balanced emotions during everyday pressure, stress and common nervous tension. Created by our team of experts in natural medicine, this remedy is pharmaceutically manufactured to the highest standards, combining the soothing properties of Lemon Balm with those of Lavender and Passion Flower, to bring you relief within minutes! For those who suffer from chronic anxiety, PTSD and/or severe panic attacks, combine PureCalm with MindSoothe for effective long-term reduction of your symptoms. Learn more about PureCalm now. I cant believe this! Straight from god right here. Needed to see this Thankyou so much my creator ! !